Claire Wickham sent me this photo that she described as: "A smallish standing stone on Islay." Islay has several ancient megaliths, the largest of which is probably at Port Ellen. 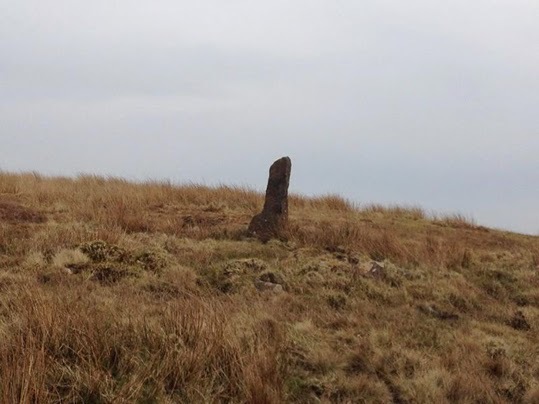 A friend of Claire's who saw the above picture mentioned that there is a modern standing stone on Islay too. It was quite recently placed near the road to the nature reserve at Loch Gruinart, and this picture might show it. Whether the standing stone is old or new, the picture is very atmospheric. Thanks very much for sending it to me Claire.